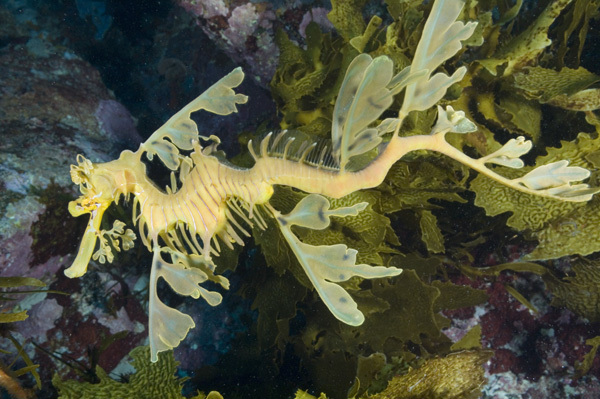 A selection of Leafy Sea Dragon pictures available for commercial purposes or as archival prints. For information regarding commercial usage please e-mail elasmodiver. 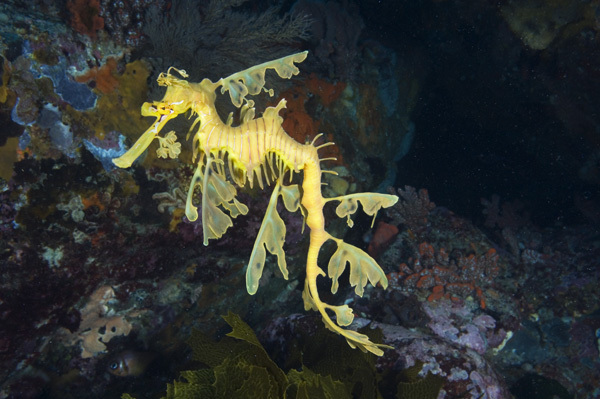 If you are interested in purchasing a print of any of these Leafy Sea Dragon images please go to the archival prints page for details on available sizing and pricing. 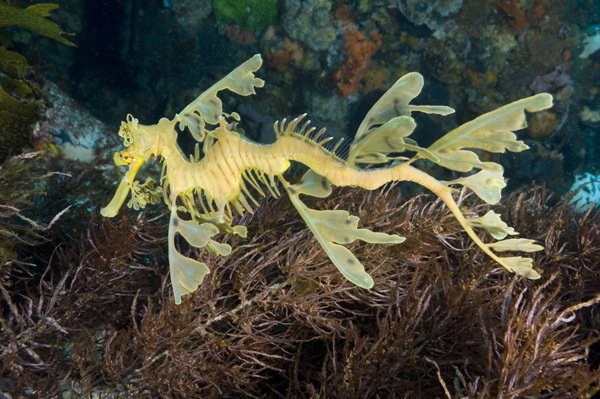 Leafy Sea Dragon (Phycodurus eques). Against a coral reef. Bremer Bay, Western Australia, Southern Ocean. 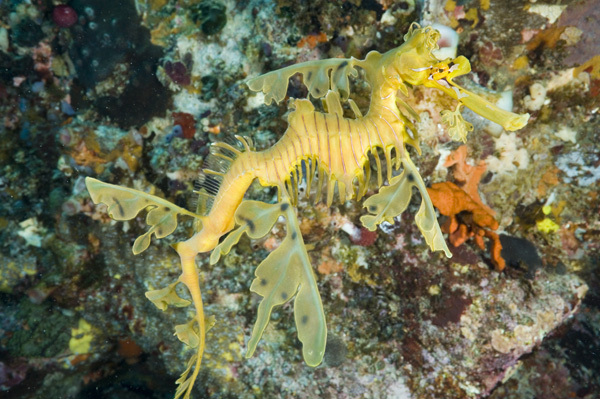 Leafy Sea Dragon (Phycodurus eques). 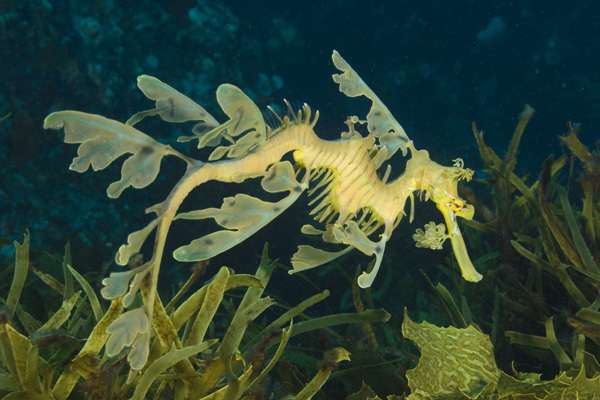 Camoflaged against sea grass. Bremer Bay, Western Australia, Southern Ocean. All of the images on elasmodiver.com are rights protected. No unauthorized use of these fish pictures is permitted. Please contact elasmodiver for further information.